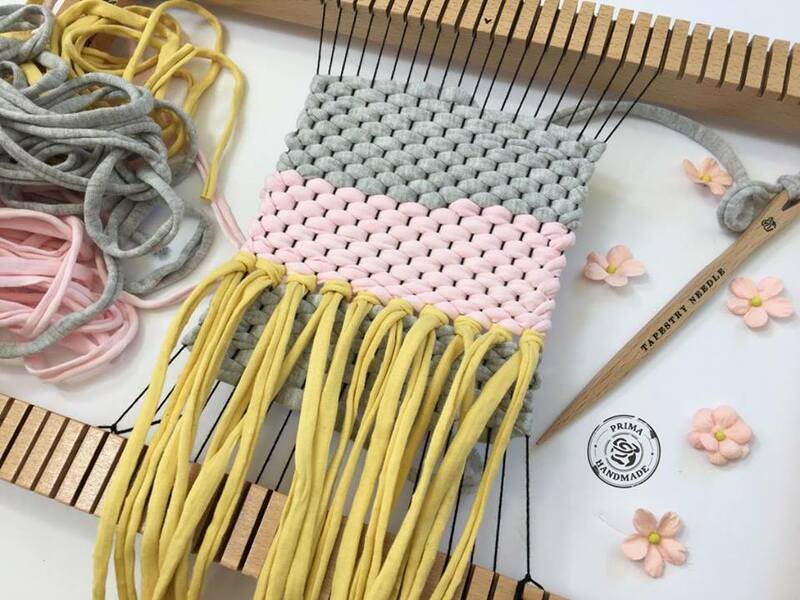 Pieces By Aideen: Weaving with recycled t shirt yarn-perfect for beginners! Weaving with recycled t shirt yarn-perfect for beginners! Ok so I bought some recycle t shirt yarn off my crafty friend-The crafty Mummy and had to try weaving with it. 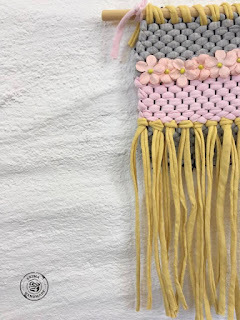 It is a really fun and quick way to work up a weave and because it is such a solid material it builds up quick so perfect for beginner weavers. 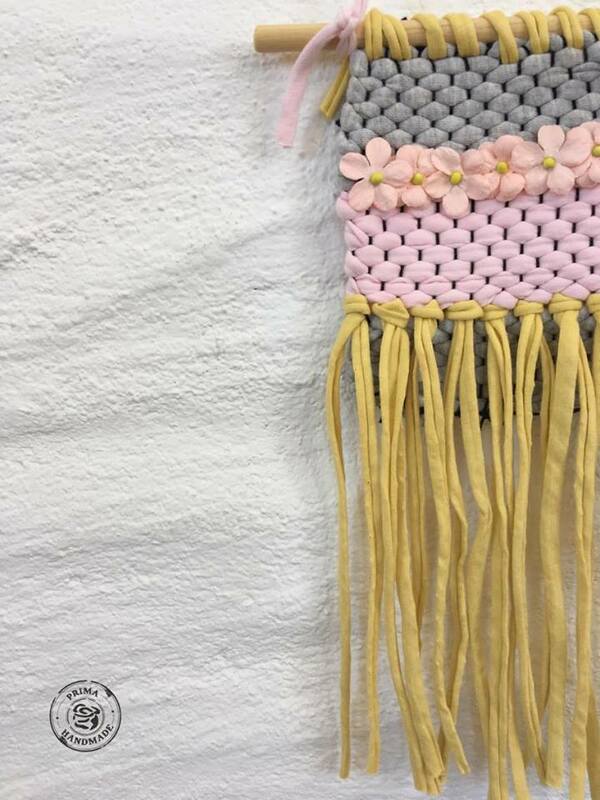 You can see I used black cotton as my warp thread too and I Iove the look-for added cuteness I glued on the line of flowers you can see in the pictures. Overall the recycled yarn is easy to work with, gives a lovely effect, is perfect for beginners and it's recycling so that's awesome! !